Route 3A has been enhanced! It is great contribution for both turist and also Maltese people. 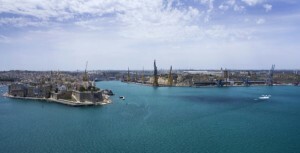 The bus departs every half an hour from Kalkara Strand. After that it foolow the road through Rinella and ends up in Smart City. There is always something else than just Rinella bay on this route for turists. Kalkara church is also great tip for a visit if you do not want to spend the whole way to see Rinella bay only.